Sometimes, in order to see the latest changes on your Thelia website, you need to clear it’s cache. This will prevent the caching of old content that will not allow you to see the latest on your website’s front end. 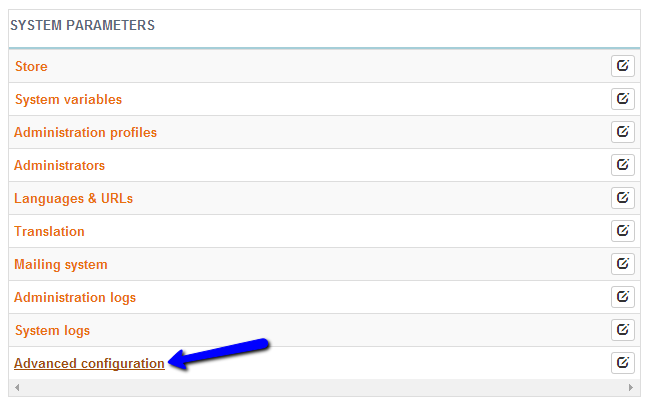 To clear the cache in Thelia, you need to access the administrative area of your website first and then click on the Configuration tab at the top menu. Locate the System Parameters section and click on the Advanced Configuration button. You can flush them by clicking on the respective button.